I believe all of you were searching for a list of available user exits that are triggered after a specific transaction code is executed. Here I’d like to present simple program, that will discover and display exactly that – list of available user exits for given TCode. 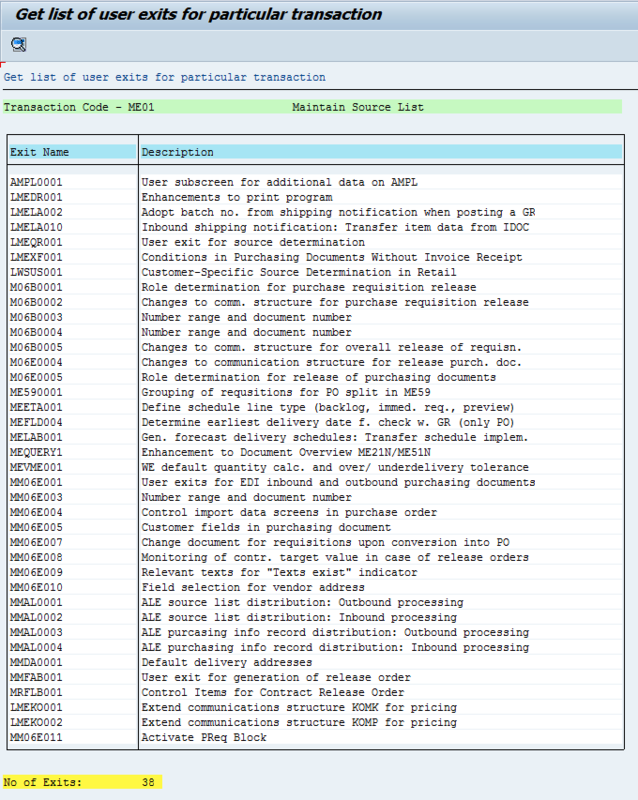 This entry was posted in ABAP, Development, Transactions and tagged ABAP, ME01, user exit by Spider. Bookmark the permalink.